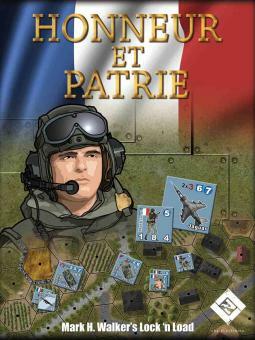 Honneur & Patrie (Honor and Fatherland) is the first expansion for Heroes of the Gap. 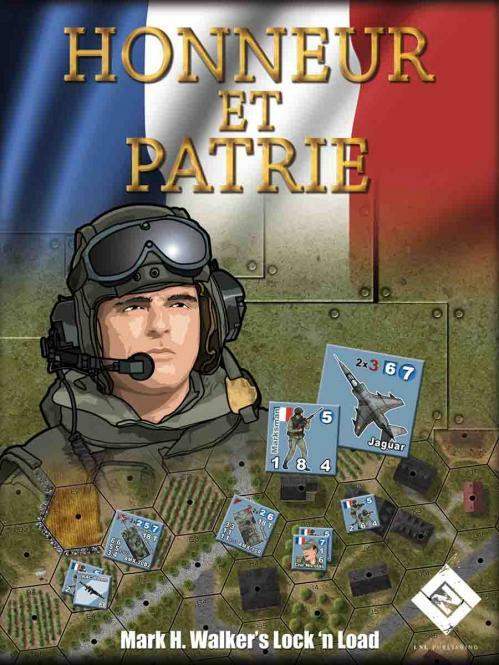 The expansion introduces the French army into the third war to end all wars. 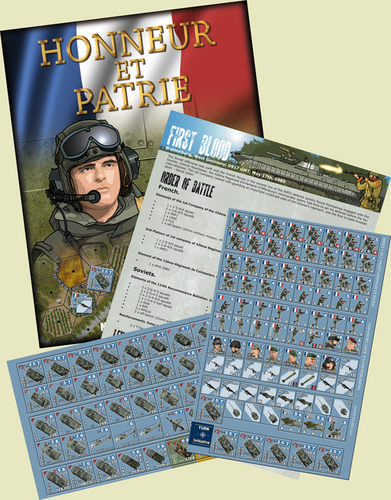 Highlighting the fighting in West Germany and Paris, Honneur & Patrie features French conscripts, the Foreign Legion, Paratroopers and lots of tanks. 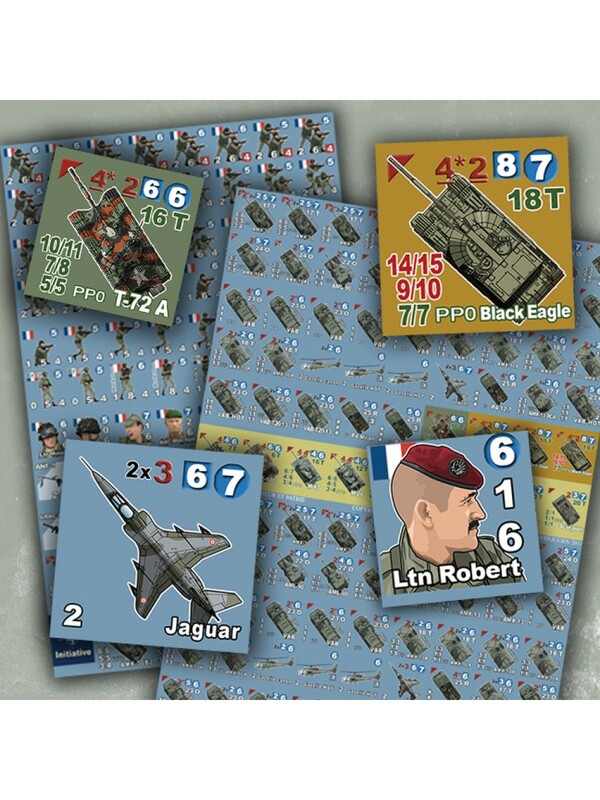 You’ll match AMX30 B-2 tanks against the best Russian armor, direct Jaguar airstrikes, and recon enemy positions with ERC-90 and AMX 10RC armored cars. The expansion includes 12 story-driven scenarios and plays out on the boards of the popular Lock ‘n Load: Heroes of the Blitzkrieg. With a plethora of new counters, new scenarios, and a unique perspective on some of the most beautiful boards ever drawn for the Lock ‘n Load system. 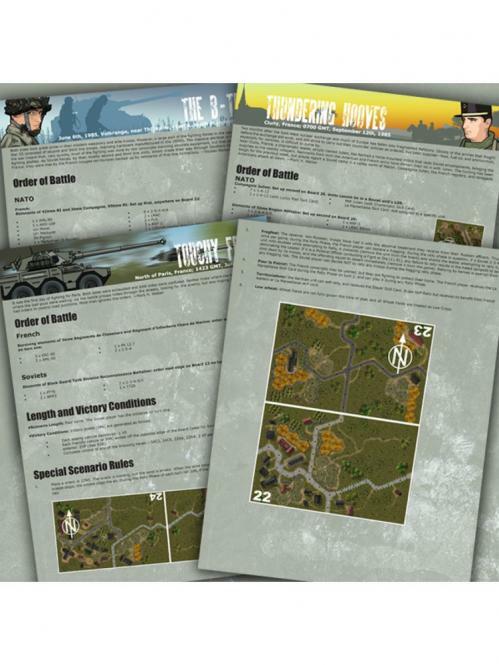 Requirements: You must own Heroes of the Gap and Heroes of the Blitzkrieg to is required to play this game.